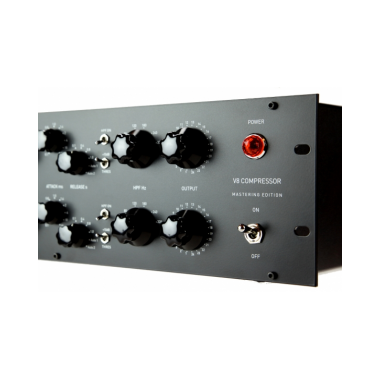 The V8 compressor is also equipped with a HPF on the sidechain circuitry. 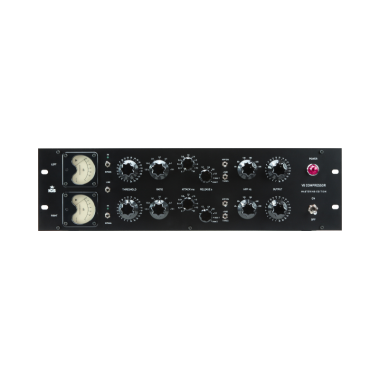 This feature allows you to cut the lowest frequencies from the signal, before they hit the compressor stage, and allow a single instrument, such as the kick drum, to go through without the pumping effect. 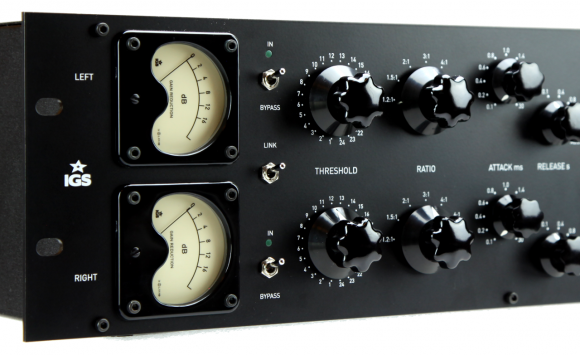 An additional switch on the front (+10THR) lowers the compressor's threshold level by an extra 10dB. 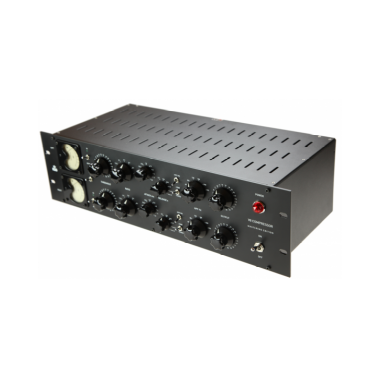 This feature is useful when compressing very low signals, or for very strong compression. 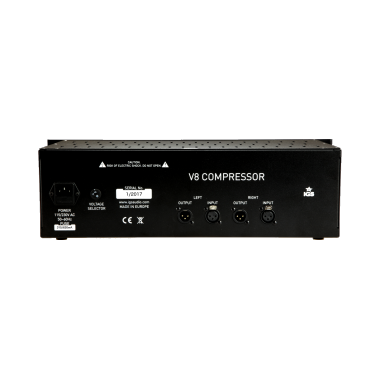 The typical application for IGS V8 is bus compression. 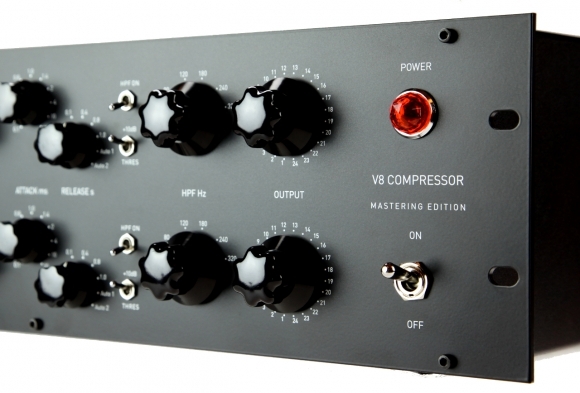 However, due to its nature and the incredible range of tone and color settings, uses of the V8 compressor are unlimited. 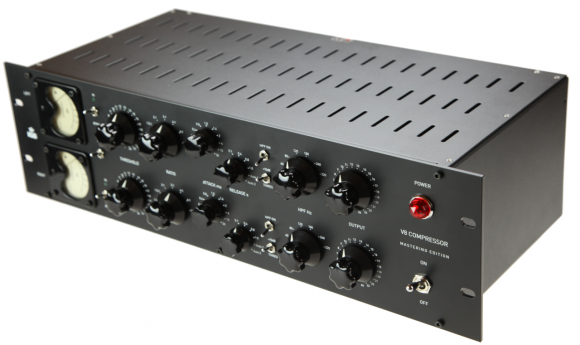 This is truly a desert island compressor. The V8 takes its name from the order of projects. 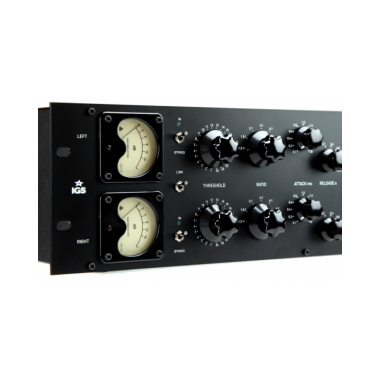 This is the eighth compressor designed by IGS Audio.